Wow! I guess I a truly am behind on my blogging! 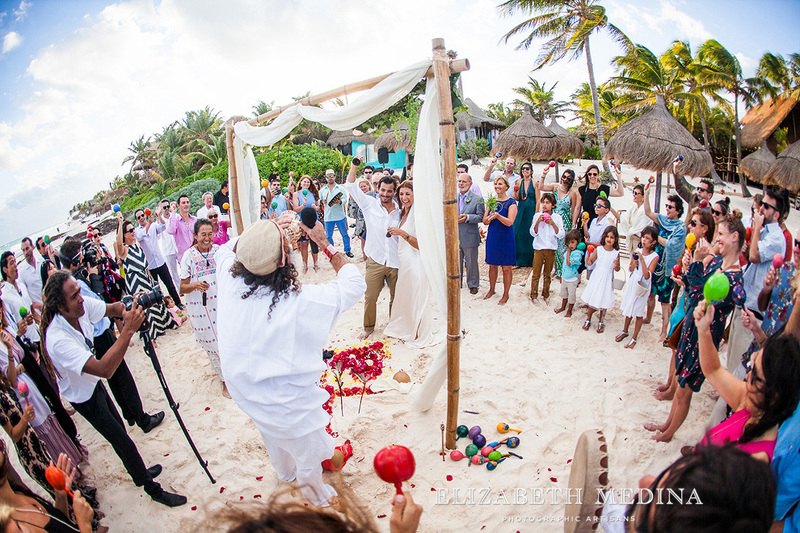 This Mayan ceremony in Tulum took place in December and it is now JUNE! 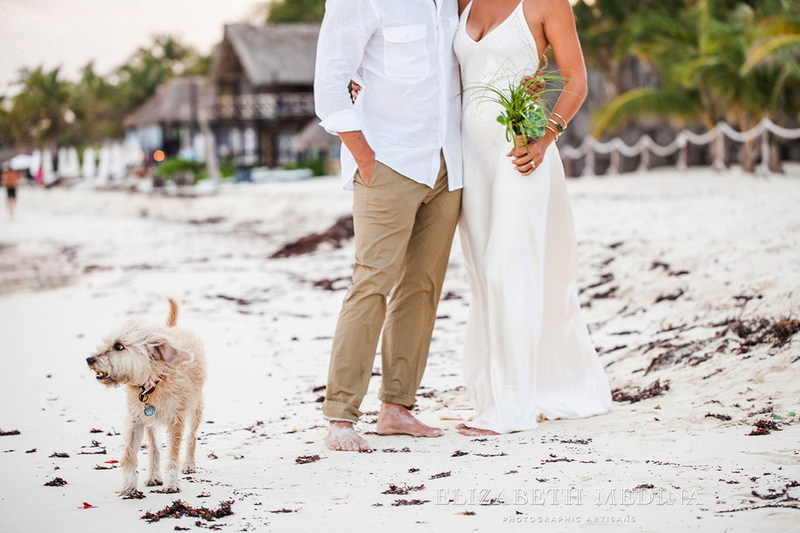 I have heard from a couple of recent brides that they read the blog for years (yes, literally YEARS!) 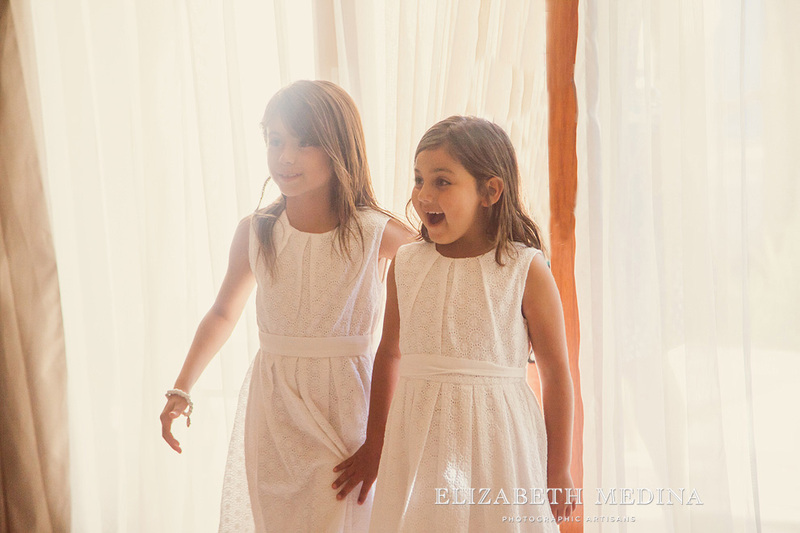 before it was their turn to be photographed. As hard as we work on each wedding to deliver the most special images we can to bride and groom it can be such a daunting task to then go through all of the photos and narrow down a small selection for the blog. We average over 90 edited images per hour of shooting, and each wedding and couple is so special, there are always WAY too many favorites. 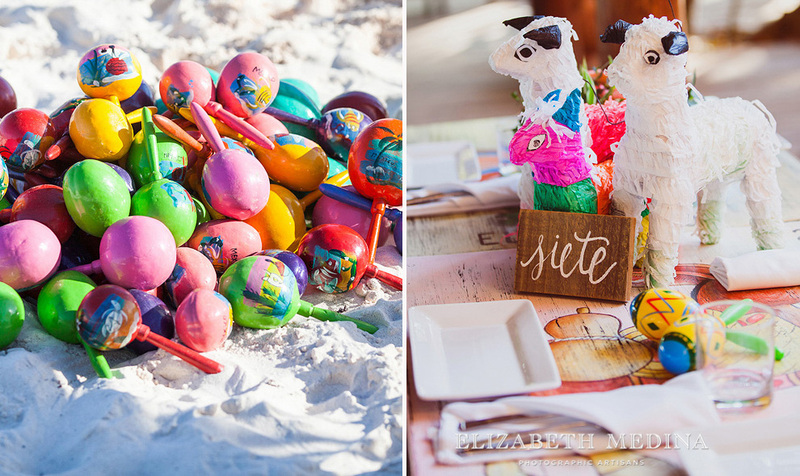 But I do know it is important to share what we do and I am going to do my very best to get back to regular blogging in the hopes someday I should actually be caught up again! 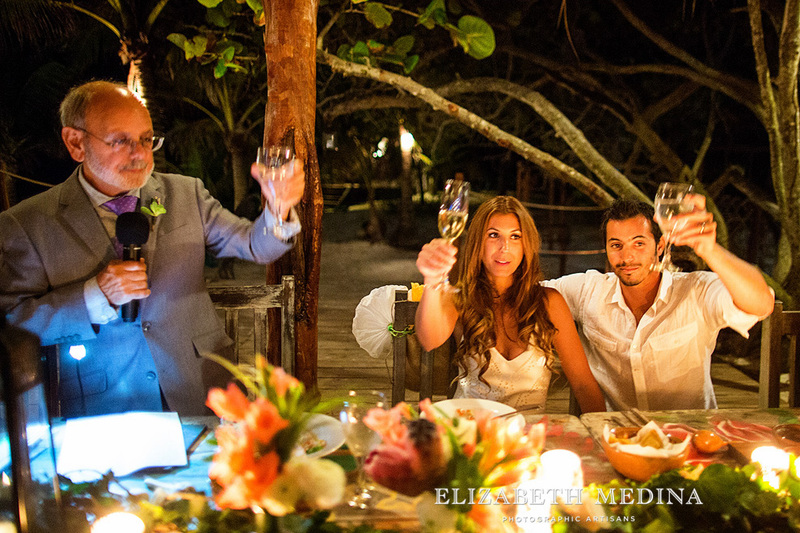 Lauren and I just LOVED photographing Carla and Dave´s wedding! 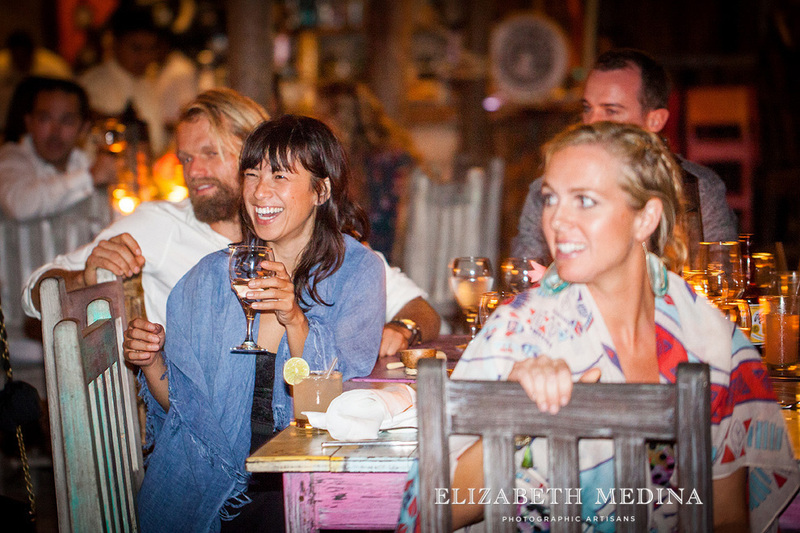 Bride and groom and their guests were just the best people to photograph, kind, laid back, happy and ready to have a good time! 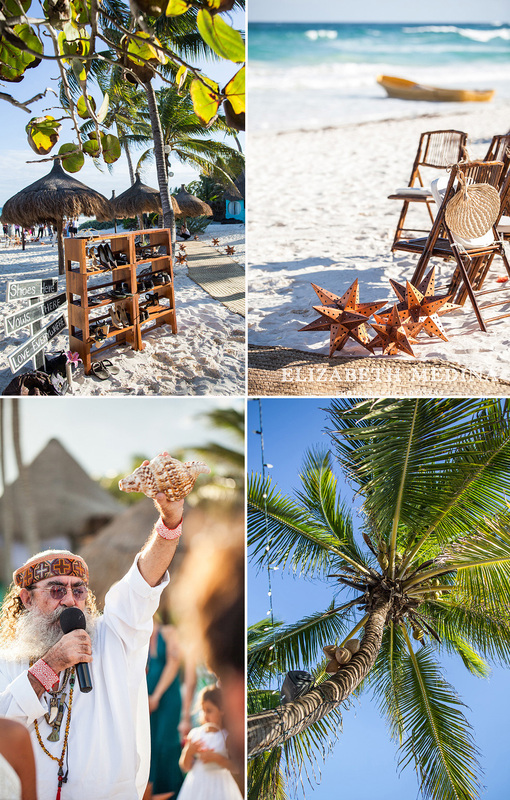 This Tulum destination wedding at the Zebra Hotel was designed and coordinated by California wedding planner Simply Natural Events I truly hope to work with the Simply Natural Events team again, they are that good at what they do, not to mention having great wedding day energy! 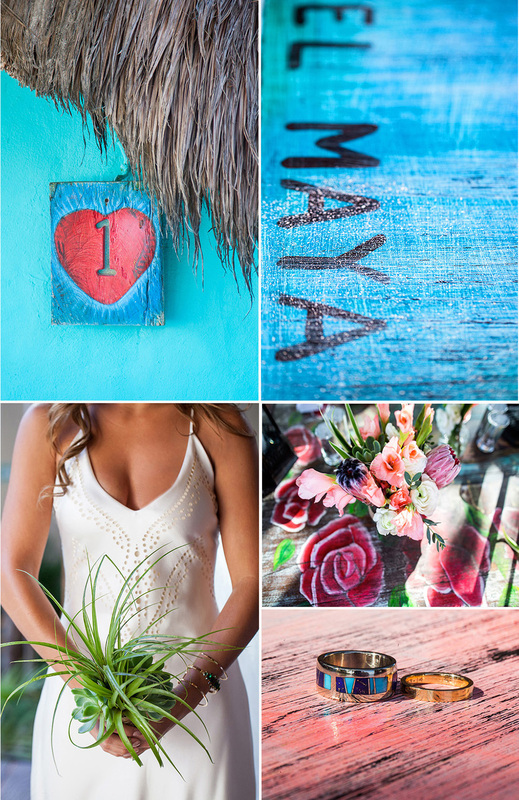 These photographs are featured in the June July edition of Destination Weddings and Honeymoons Magazine I have to say it looks pretty awesome and that they did an amazing job of writing up the story of this Mayan wedding as told by Carla.I know I can´t do nearly as well explaining this happy day as Carla and BDWH, so I will just let the photos do the talking and hope you all love the colorful details and the happy moments as much as we enjoyed photographing this wedding! 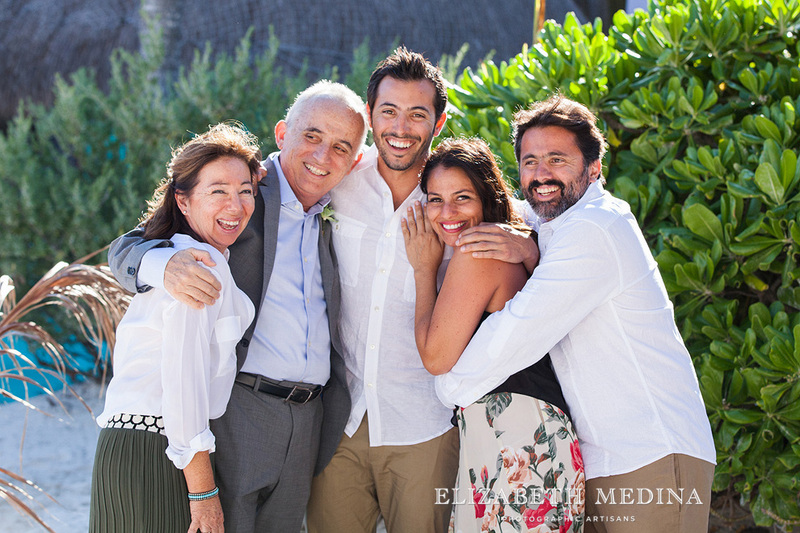 Gracias un un gran abrazo para Carla, Dave y sus familias y amigos! 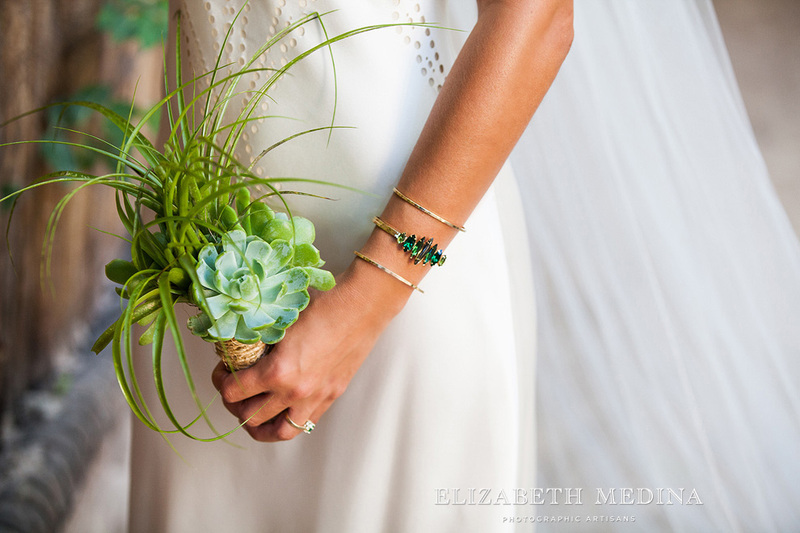 Carla was in great hands with Melissa of MVP in charge of wedding hair and makeup. 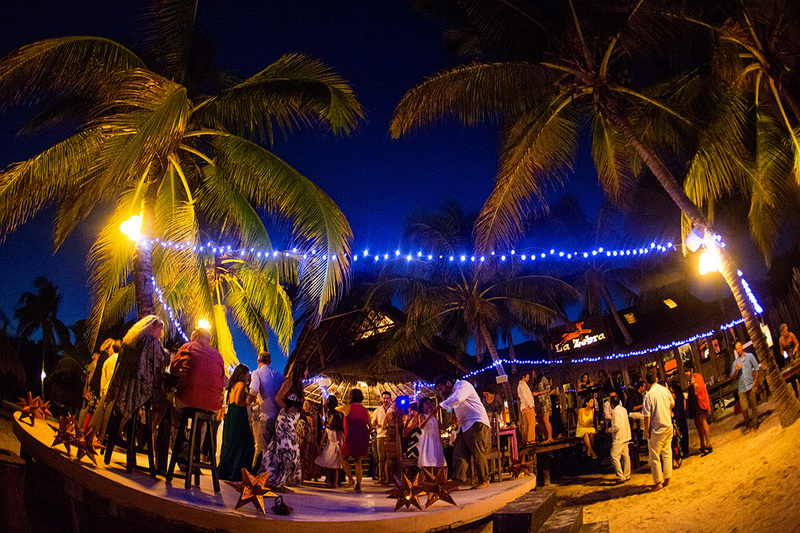 Zebra Hotel, such a beautiful location! Carla an Dave´s favorite wedding moment? 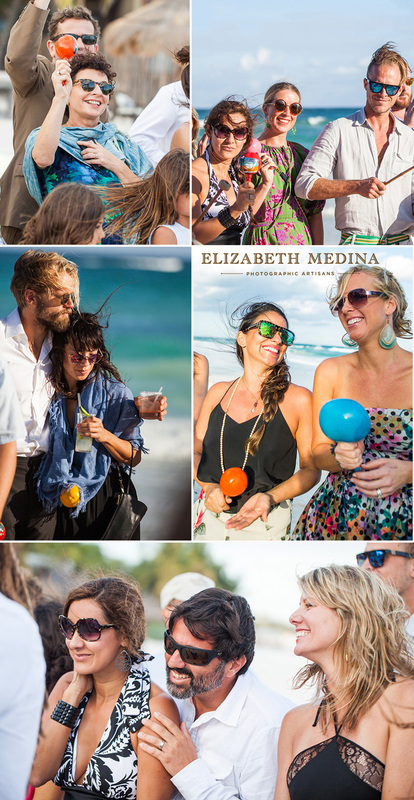 Walking all around the circle of their closest family and freinds and being greeted by each guest´s smiling face andcshaking maraca! 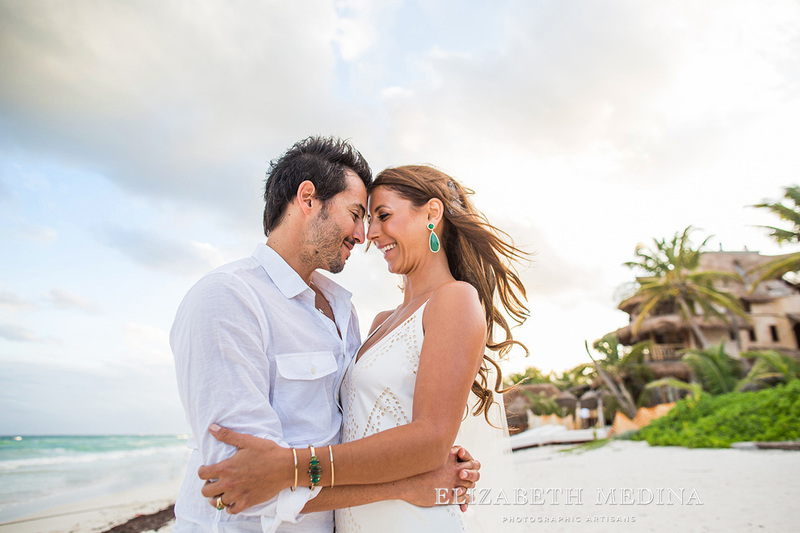 So much love and happiness! 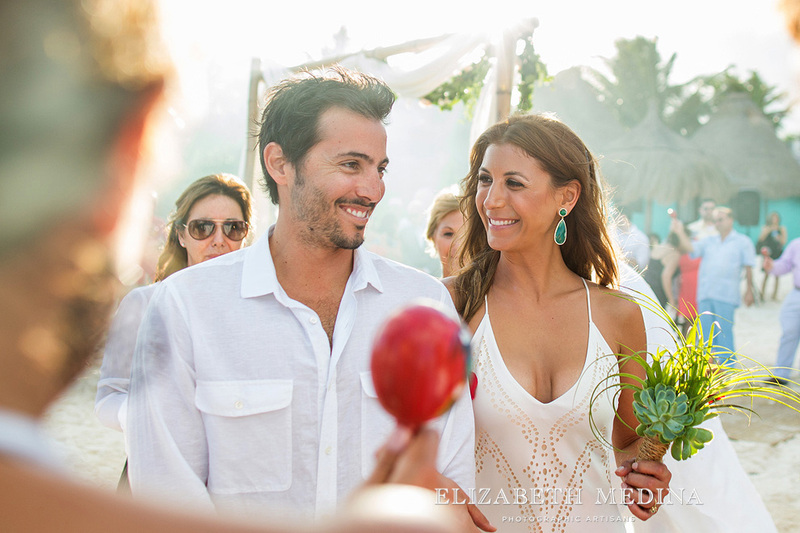 So much love and happiness! 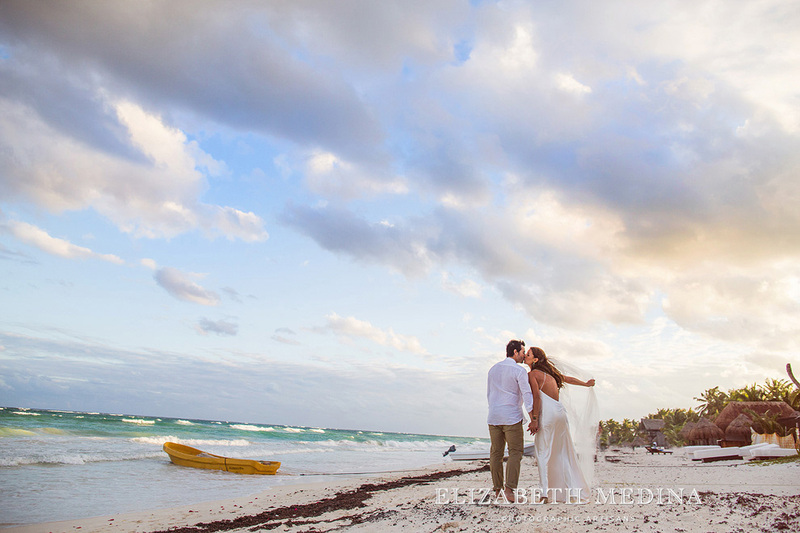 Beach photos, bride and groom at sunset. 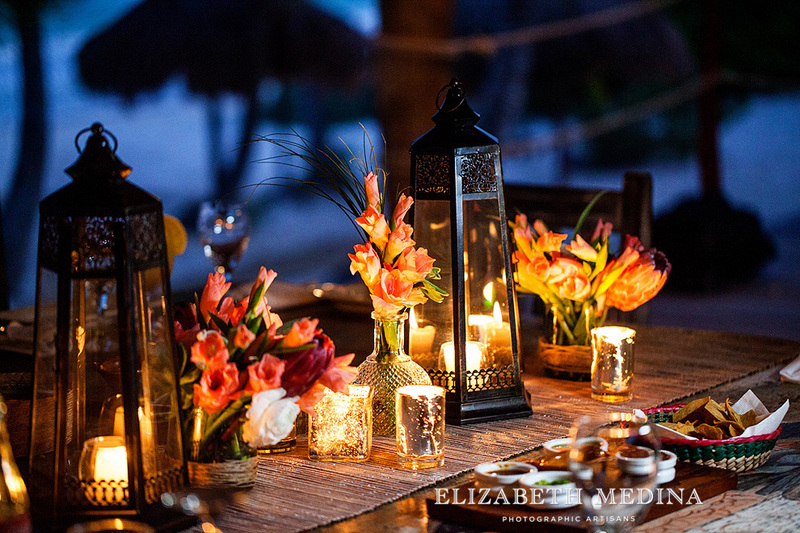 Wow, the tables were so perfect for this bohemian chic beach wedding... amazing work by Simply Natural Events. 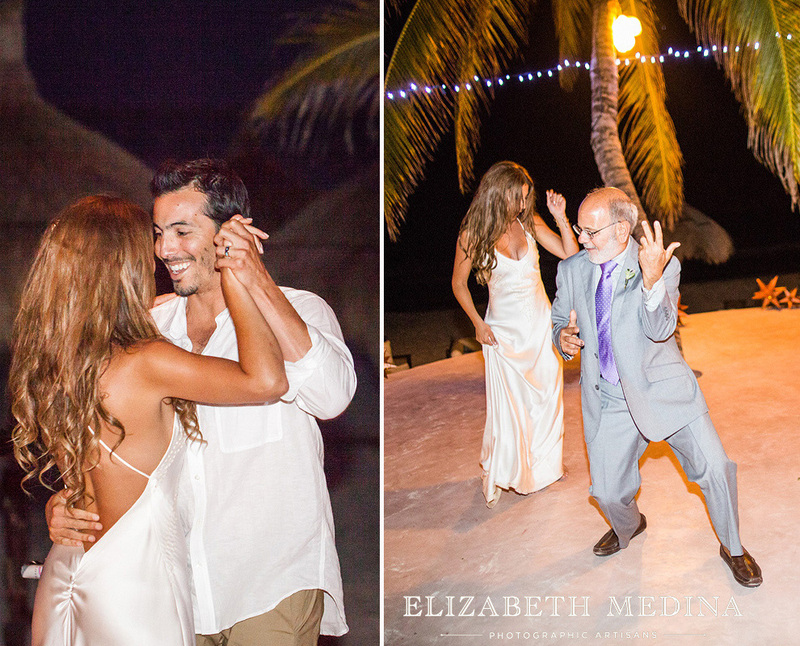 Reception moments... love the photo of the father of the bride rocking it out. 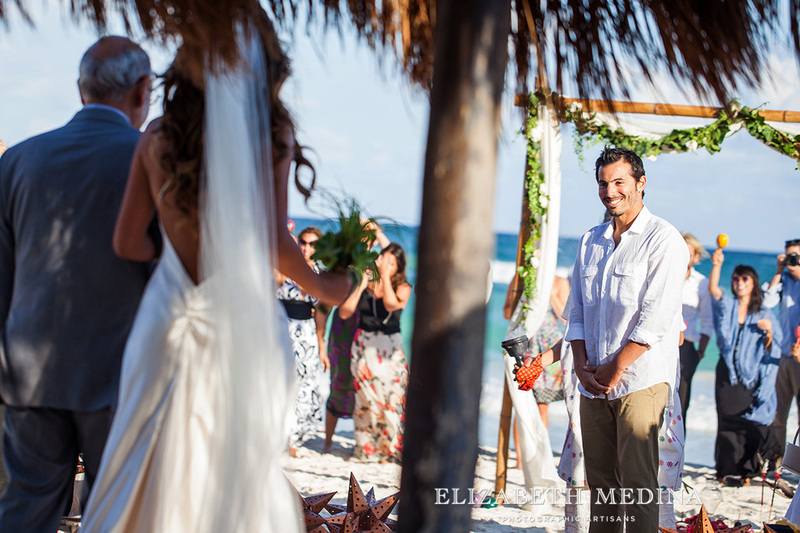 Mayan ceremony, Tulum destination wedding photography from Elizabeth Medina Photography. 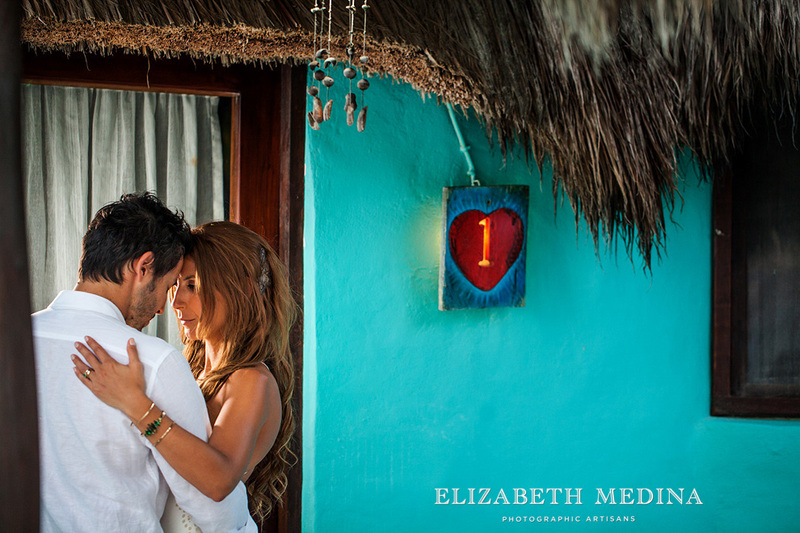 Elizabeth Medina Photographic Artisans, Mexico´s leading wedding photography studio. 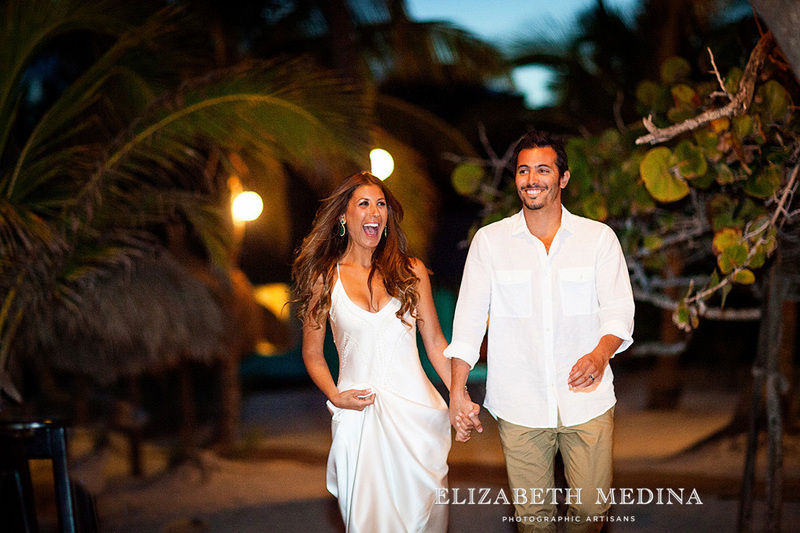 Elizabeth Medina photographs weddings throughout Mexico and internationally. 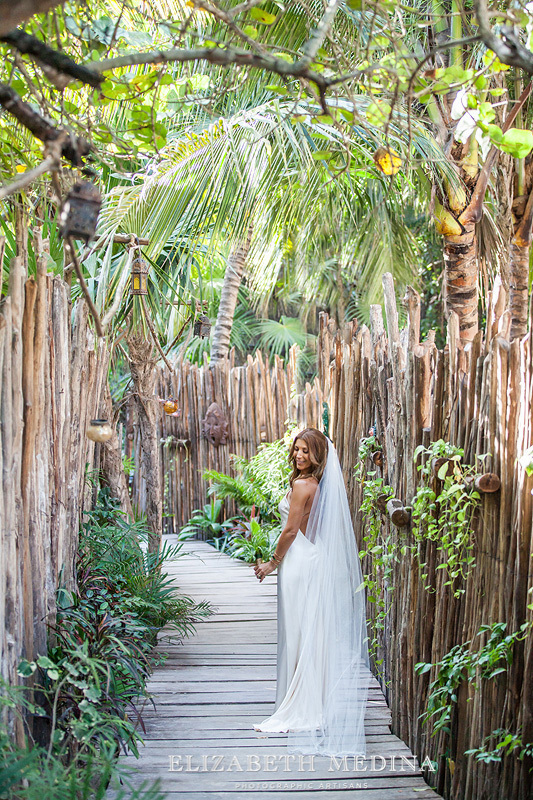 Bride´s hair and makeup by Melissa of MVP, Mexico.